P23 Microplate Hotel Stack Liconic Instruments STX 220 Incubator Handler Rack . New Life Scientific, Inc. 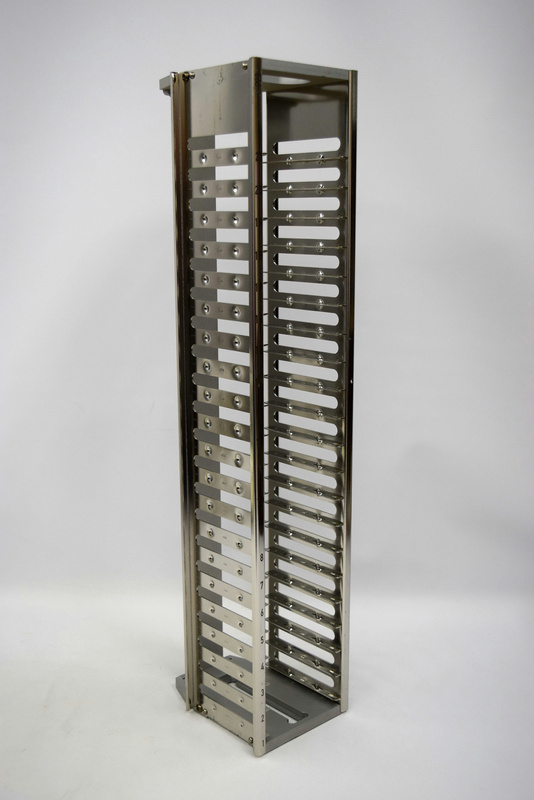 These are extra stacks that were designed to fit the Liconic STX 220 Microplate Incubator Handler. Made of stainless steel, these hotels hold up to 21 microplates. This product is in excellent condition and there are multiple hotels available. Very good cosmetic wear and condition.